Software hackathons are an old hat these days. They’re a great scouting opportunity for talented candidates looking for a job, and they provide the battleground for coding enthusiasts to prove themselves by developing a project from start to finish overnight, albeit, with a few kinks. Hardware hackathons are an entirely different beast. By trading APIs for components and Python libraries for soldering irons, they pull the excitement out of the text editor and onto the workbench for everyone to see. While hardware hackathons might be “the next big thing” with you and your four best DIY-pals, the broad range of physical components, from Arduinos to CNC milling time, makes rule-establishment, safety enforcement, and winning criteria far more difficult to constrain within a single night. Enter Muddhacks. This past October, three students from Harvey Mudd College set out to deliver a hardware hackathon that would open their student community’s mind to the thought of tinkering-for-fun in their spare time outside the lab and beyond their homework. Students [Benjamin Chasnov], [Apoorva Sharma], and [Akhil Bagaria] had just finished their experimental engineering class: E80. Along the way, they designed a custom sensor payload into a meter-long rocket and launched both rocket and payload to measure the rocket’s fundamental frequencies in flight. With a victory behind them, they were ready for their next big project. (Left to right) [Ben], [Apoorva], and [Akhil] stare skyward as their rocket launch sets them hungry for future projects. As the next semester waned onwards, however, they realized that any big project–no matter how modular–would be a serious time commitment. After some thought, they refactored their idea entirely. Tinkering was a passion shared by each of them; why not spread the love school-wide and bring together a community of engineers-by-night? To resolve their craving for after-hours engineering and to inspire a culture of collaborative tinkering, they set out to bootstrap a hardware hackathon; an event where many projects could be realized by many students in a single night. For the unitiated, hardware looks hard. Breadboards, LEDs, r`esistors? To those who have never put together a simple circuit before, taking that first leap is a challenge set by a box of components that almost seems to glare back menacingly. The three teammates took this first-timer roadblock as a challenge unto themselves to break down that barrier. Thus, HackWeek was born. HackWeek was the MuddHacks teams’ answer to get students comfortable gluing modules together to produce a functional project in a short time. How do I make things move? How do I connect things to the internet? What parts do I choose? All of these questions-worth-answering became topics of the three-day event before the hackathon. The idea behind HackWeek was simple: give eager students enough theory and a functional demo that they could probe, tweak, and recompile so that they could feel more comfortable developing their own ideas into projects. On day one, the MuddHacks team brought functional demos of various motors into the hands of eager students. By day two, the three teammates actually assembled a functional hack of their own before the eyes of their listeners: an internet-enabled microwave that could remotely start warming up that cup of ramen on your way back from class. [Akhil], [Ben], and [Apoorva] bring the Phone-Microwave to life at HackWeek while users try to fire it up remotely. Unlike software hackathons, a successful hardware hackathon involves parts, and the MuddHacks team was well-prepared to bring the participants the parts that they wanted. With ten days to go before the event, [Ben] took orders from each team’s desired list of parts. With a day to go, all parts arrived before the event and made it to their respective user’s hands in “goodie bags” on the last day of HackWeek. On this last day, teams opened their bags and explored the parts given to them and to other teams while taking advice from the mentors present to offer tips for using various components. This time for “open-exploration” ensured that the following night spent hacking would be more fruitful, now that teams had cleared the starting questions for various parts on the previous day. On the night of MuddHacks, [Ben], [Apoorva], and [Akhil] had completely turned their original aim to build their own project into a night spent mentoring the projects of others. Throughout the night, they became the “ground crew,” bringing advice to debugging teams and keeping the night culture alive with two waves of snacks. “We felt that if students were going to come to our event, it was our responsibility to keep them both awake and happy,” Apoorva mentioned. Classrooms refilled for the night with students eager to bring their robots, LEDs, and gantries to life, but other parts of the school came to life as well. The machine shops reopened, and old oscilloscopes and test equipment emerged from the engineering stock room for loan to any teams that needed them. Even a few professors happened to wander into classrooms and offer advice. For [Ben], [Apoorva], and [Akhil], fostering a sense of community in tinkering became their top priority. As they wandered between teams, they encouraged stellar performers to take a brief break and help out another team through a bug. At the night’s end, a number of early-rising professors joined the crowd of students to judge the winners. Oddly enough, the MuddHacks team didn’t spend any money on the prizes–but no one seemed to notice or care. For the eighth of the entire undergraduate student body that attended, these students weren’t coming for the prizes. They came to join that culture of tinkerers–to be a fellow hardware-hacker-by-night–eager to do their part to make the world blink. When was the last time you burned yourself downloading someone else’s API? Probably never. With a hardware hackathon, comes a new wave of challenges not seen before in the software variant. With one successful hackathon under their belt, we asked the MuddHacks Team to share some insights for other teams looking to assemble their own hardware hackathon. Here’s what they came up with. Charging participants an entrance fee may solve the problem of funding, but for the thrifty, starving student, entrance fees may also weed out people who had a slight curiosity but weren’t eager to throw a few bucks down to support it. The solution? Bring participants in for free and support the hackathon with external funding. The MuddHacks team reached out to a number of companies and encouraged them to take a sincere look at their website and cause. The Muddhacks team mandated that students form teams to enter the hackathon, mostly to foster community and collaboration. They reasoned: “If you already build things for fun on your own, you don’t need a hackathon to get you excited about hardware for the first time.” Most teams self-assembled, but the Muddhacks team also suggests a submission form for stragglers to pair up. Ten days before the hackathon, [Ben] put out a call to order parts in a $100 budget range. Each team made part requests, and [Ben] then ordered each of these parts in time for the hackathon. In addition, the Muddhacks team also ordered a collection of additional stock hardware (think: Arduinos and shields). Soldering irons and sleep-deprivation don’t mix well. Among the points to consider for safety are tools that will keep users safe (safetly glasses and ventilation in this case). The MuddHacks team also recommends a safety waiver. Getting people excited is key. Logos, T-shirts, and Mugs all add to the authenticity of the one-night event. The Muddhacks Team brought in each of these to its participants. In addition, they printed posters, deployed a website and facebook page, and pitched to students directly in their computer science and engineering classes. Feed the masses. The MuddHacks team reminds us that, as the hosts and organizers of the event, it’s your responsibility to make sure that attendees are both awake and enjoying their time. Not only did the team provide two rounds of food, they also walked around and engaged participants that needed some help debugging, effectively becoming an extra set of eyes to track down bugs as mentors throughout the night. The MuddHacks team brought in their favorite professors to judge teams’ projects. At this event, the MuddHacks team stresses that all participants deserve to see all projects. Not only can they witness something awesome, they can also engage their peers with questions, effectively learning a few extra tricks that they didn’t discover while working on their own project. From the MuddHacks Team: “Take pictures!” While the first website and facebook page were filled with images of the tools and the setting, next years website and advertisements could be filled with pictorial proof of the promise to participants of a genuine experience. As the first hackathon closes, they also stress that you, the organizers and founders, learn too; and the best way to do so is to collect feedback with some manner of online form. At the same time, this form could also recruit additional hands for assembling next year’s hackathon. We hope these tips from a stellar hackathon serve as a starting point for developing one of your own. To learn more about MuddHacks, take a quick visit to their website: MuddHacks.com, or follow them on their Facebook page. 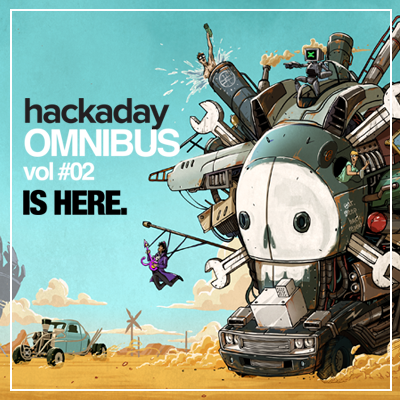 This article was specifically written for the Hackaday Omnibus vol #02. 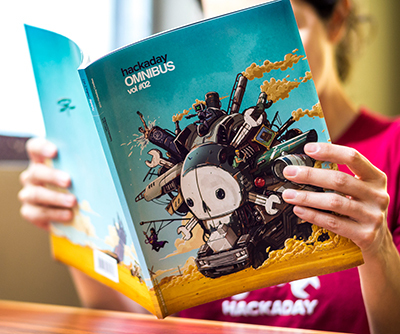 Order your copy of this limited edition print version of Hackaday.